Play double bass or latin drum grooves? 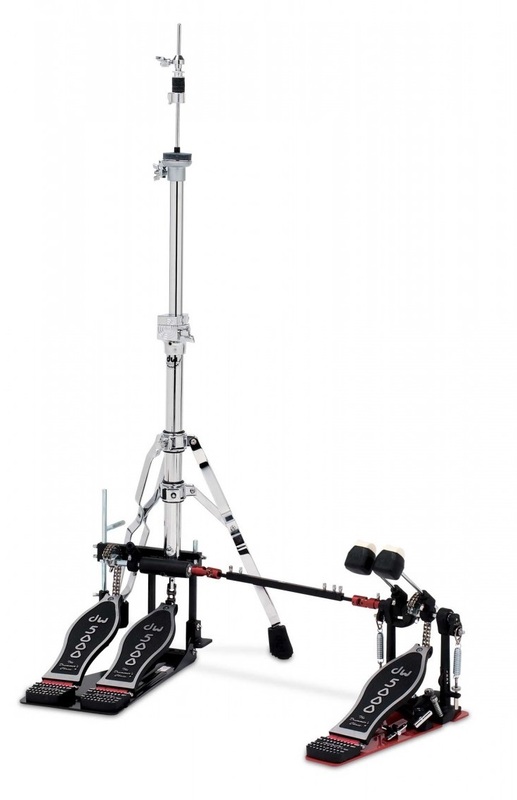 Then the DWCP5520-2 Auxiliary Hi-Hat Stand is an innovation that might just change your drumming life. This is a genius combination of a hi-hat stand and a bass drum pedal, all in one piece of solid equipment. 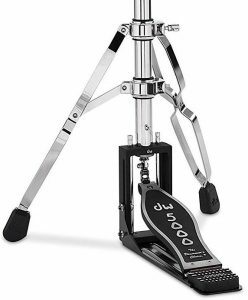 The DWCP5520-2 Auxiliary Hi-Hat Stand is a hi-hat stand and bass drum pedal combined into one piece of hardware. Both the hi-stand and pedals are based on the highly respected DW 5000 series, and they come with everything you’d expect from DW. If you’re reading this review, you’re probably sick of wasting time getting your hi-hat and bass pedal in the right place. Luckily, DW have solved this problem. Beyond just being a great hi-hat stand, the DWCP5520-2 is versatile. As a double bass drum slave pedal. As an auxiliary pedal for cowbells, jam blocks, tambourines, or any other small percussion instrument. There is a mount attachment on the pedal, allowing you to clamp on anything that can be hit with a bass drum beater. This cool little feature lets you get creative with your feet when not playing double bass. For anyone who plays with more than one bass drum pedal, the DWCP5520-2 is a genius idea. 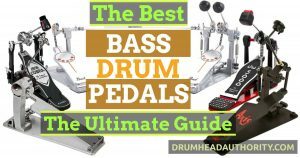 Almost every double bass drummer knows the frustration of getting your slave pedal, hi-hat stand, hi-hat pedal, and drive shaft organised. DW overcome this problem by combining both pedals into one unit, ensuring everything is perfectly organized so nothing gets in the way. The pedal and hi-hat combination also saves space, giving you a smaller and tighter footprint. 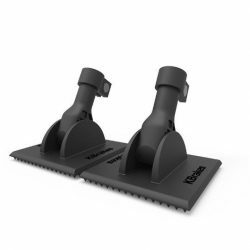 The design keeps your hi-hat and bass drum pedal perfectly aligned side-by-side, closer than you’d get with a separate hi-hat and slave bass drum pedal setup. With less equipment to lug around, this also makes for a quicker set up and pack down. The small footprint is also great for setting up on smaller stages. Everything is built with the top quality you’d expect from DW; the DW 5000 range is an industry standard throughout the drumming world. 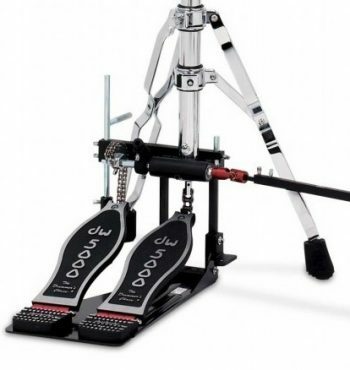 In fact, the DW 5000 bas drum pedal won best mid-priced bass drum pedal in our huge review. On this combined unit, the hi-hat and both of the pedals run very smooth, and are highly adjustable. The one thing to beware of is the slave pedal on the DWCP5520-2 is placed to the left of the hi-hat pedal (and cannot be switched)… DW does not make a right-side slave pedal version of this piece of hardware. If you’re a right-side-slave double bass drummer, this takes a little bit of time and practice to get used to. One little bonus with the DWCP5520-2 is that it is interchangeable with the DW9000 series bass drum pedal… If you’ve got a DW9000 master pedal, the slave pedal system will be compatible with it. 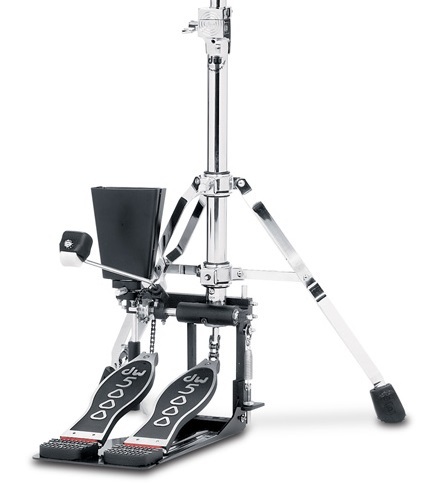 As well as combining a bass drum pedal and hi-hat stand, the DWCP5520-2 has some other great features. Importantly, the hi-hat legs can swivel, which allows you to position them any way you like. This is extremely useful for placing other stands nearby, or for getting a tight setup on a small stage. The hi-hat clutch is the versatile DWSM379, which locks tight and allows you to dial in the top hi-hat cymbal’s sloshyness (how much your top cymbal can flop around), while keeping it secure on the clutch. There are memory locks for the tube joints, and the DWCP5520-2’s stand is double-braced. The ball bearing hinge is DW’s smooth Delta. The concentric drive is the DW Turbo TD3, built to give a consistent beater movement across the pedal’s whole range of motion. For easy storage and transport, the footboard folds back like a regular hi-hat stand. 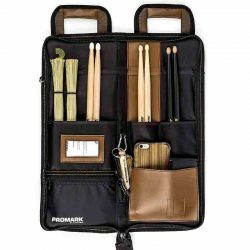 Finally, DW throw in a pedal bag for the master bass drum pedal, to keep it safe when transporting. So what are the cons with the DWCP5520-2? Well, the main thing is you’re making a solid commitment in terms of pedal placement: The hi-hat and bass pedal are connected, so you’d better be pretty sure you want them arranged that way. If you’re shopping for this though, you probably already know how you want your pedals arranged. Also, as mentioned above, the slave pedal is to the left of the hi-hat, which can take some getting used to if you like your slave pedal on the right. Importantly, the DWCP5520-2 comes with the 5000 series master bass drum pedal, which is a go-to choice for drummers around the world. 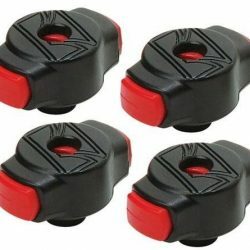 This pedal is highly adjustable, and comes with some great features including a drum key clip (so you always know where it is), a two-way beater, non-slip underside rubber grip, and dual spurs to ensure your pedal stays put. 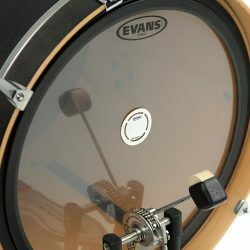 For those of you with bigger feet, or who do a big heel-toe bass drum technique, the toe stops are also removable. The pedal’s action is smooth and solid, and this thing is built to take a beating. If you want to read more about it, we chose the DW 5000 as one of our favourite pedals in our best bass drum pedal review article… It’s a great pedal for busy gigging drummers. If you’re tired of a messy double bass drum pedal setup, hi-hat legs getting in the way, and a drive shaft that constantly interferes with your setup, the DWCP5520-2 Auxiliary Hi-Hat Stand is the answer. 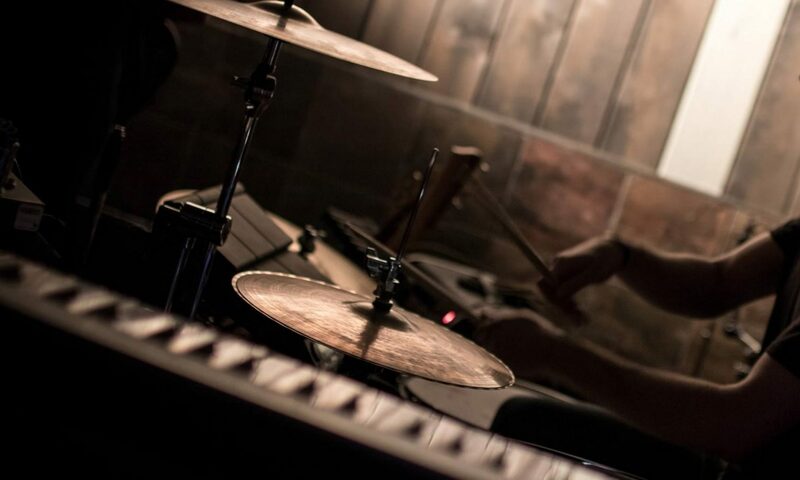 This hi-hat and double pedal combo will streamline your setup, letting you spend more time drumming. 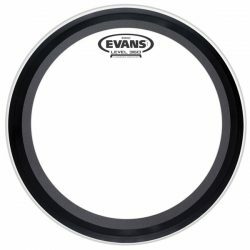 The DWCP5520-2 is a genius idea from one of the most respected drum hardware brands in the world, and DW have done a great job with this piece of hardware. 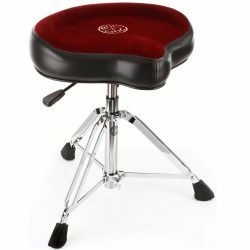 Note that the DWCP5520-2 (reviewed on this page) is the full double pedal plus hi-hat stand version. 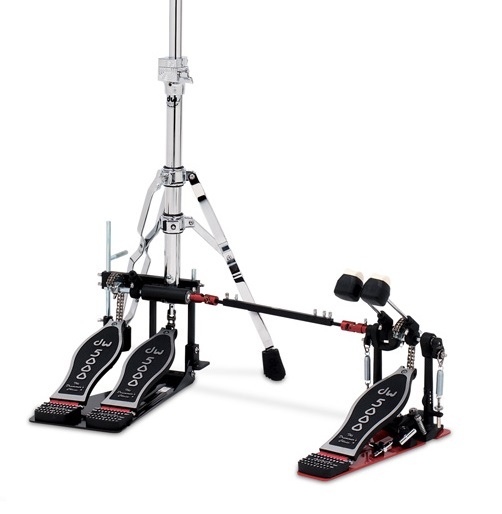 There is also the DWCP5520, which is the hi-hat stand with a single pedal attached to to the left. If you already have a DW5000 or DW9000 double pedal, your drive shaft can be connected to the DWCP5520 to turn it into the full version. It looks a little strange, but this system allows you to place your hi-hat extremely close to your bass drum, and keep the hi-hat stand legs closed. This gives you more room to position your double bass slave pedal. 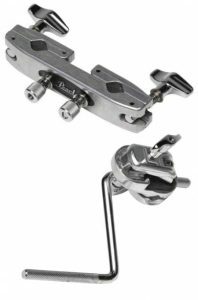 The Pearl HA-130 has a bass drum hoop attachment (which clamps your hi-hat stand to the hoop), allowing you to fold the legs out of the way. 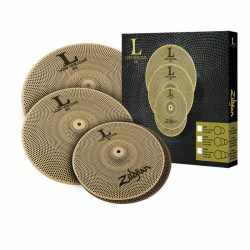 This is a cool design that is great if you like your hi-hat really close to your bass drum. 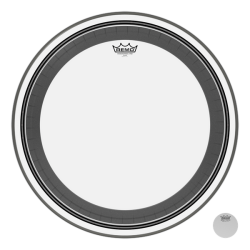 It’s also perfect for playing with two bass drums, with your hi-hat in the center. Check out Pearl’s interesting piece of gear here. DW make a two leg hi-hat stand with rotating base. Having two hi-hat legs instead of three means there’s less to get in the way of the double bass pedal shaft. With the two legs at the back, there’s plenty of space for the double bass pedal shaft to pass. This stand comes with memory locks, and two different rod lengths so you can set it up to any height. There are built-in spurs to ensure it doesn’t move while playing, and a nice tension adjustment system. Like the DW combo hi-hat & bass pedal reviewed above, this thing is solid as a rock. 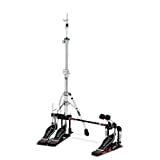 It’s a great alternative if you’re struggling to position your double bass drum pedal and hi-hat stand, and very cost-effective. Check out the DW Two-Leg Hi-Hat Stand here. 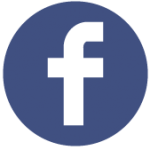 Check out the in-depth guides and drum articles.